The Driver is hired by the FBI to help defuse a hostage situation. A disgruntled employee has kidnapped a CEO and has hidden her, demanding $5,088,042. The Driver delivers the money, writing the sum on his hand as instructed by the hostage taker. After he is told that he holds the life of a person in his hand, he is ordered to burn the money. As he complies, the federal agents break in and attempt to subdue the man, who shoots himself in the head before he reveals where the woman is hidden. The Driver then tries to find the hostage before she drowns in the trunk of a sinking car. 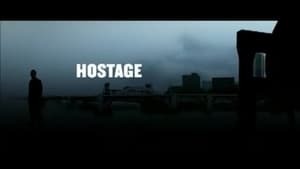 As a twist, the kidnapped woman is revealed to be the hostage taker's lover. She coldly taunts the dying man in the hospital.